Today, tonight, it will be able to see the meteor shower of ETA AQUARIIDS, ie, those left over Halley comet entering our atmosphere. For a meteor shower, a meteor shower is just entering the atmosphere (no re-entry, that’s that has already entered before or leaving the Earth) of our planet of stellar objects. What objects? 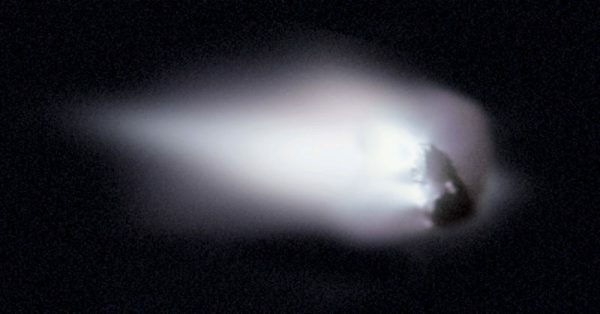 because anyone disintegrate in the atmosphere, meteors usually loose out there, but also pieces of other objects. Today enter our atmosphere (which today is the maximum) of pieces of Halley’s comet ejected from the, they enter orbit in descenciende with Earth Solar System. That means they are not pieces of the comet in its orbit all just bumping into the orbit of the Earth. As the orbit of Halley this measure, the pieces that come out are also constant and measured, and as the orbit of the Earth is measured and is equal (not like the Mercury perihelion tour ie the orbit also ORBIT-and what explain, and has to do with the relativity of Einstein) and as they enter the Lagrange points of Earth orbit (which are points where the distance between two objects is always the same and therefore are positions fixed in the orbit of an object) at the end, they fall on Earth. Someday I speak of the L4 and L5 points where we (us and all the planets) a lot of asteroids just so mathematically mean those points. Returning to the main theme, it is called meteor shower of ETA AQUARIIDS as seen in the area where the constellation Aquarius appears. That is, that if you want to see (there are about 30 meteors per hour), you should look at the constellation of Aquarius. The best time to see it is just at dawn and dusk (dusk and dawn today tomorrow).